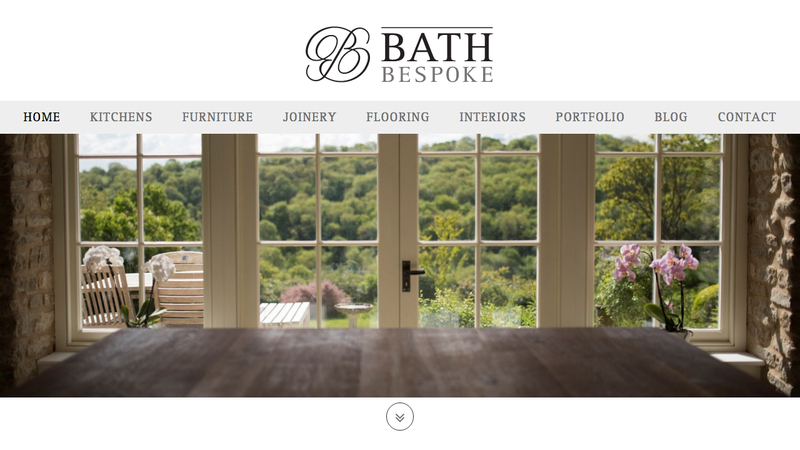 We were approached by Bath Bespoke for a re-design and re-build of their website back in 2013. 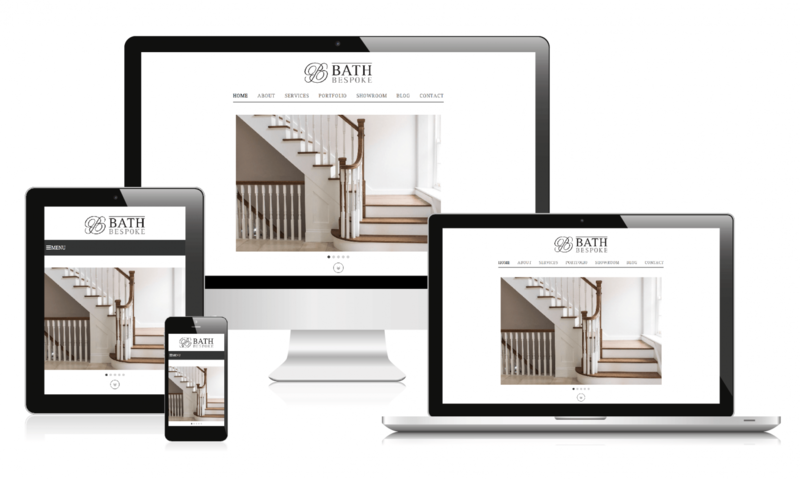 We created a beautiful responsive website for them, and since then we’ve continued to maintain and develop more features in keeping with today’s constantly evolving web trends. 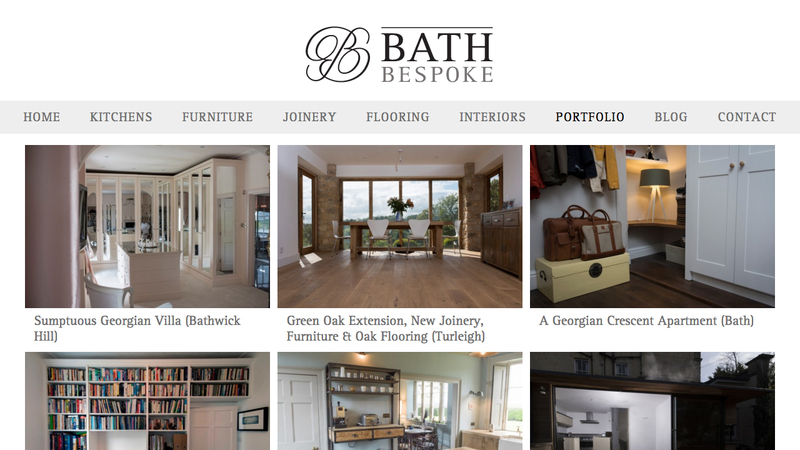 In November 2015 the Bath Bespoke website was re-launched, with some cracking new features. 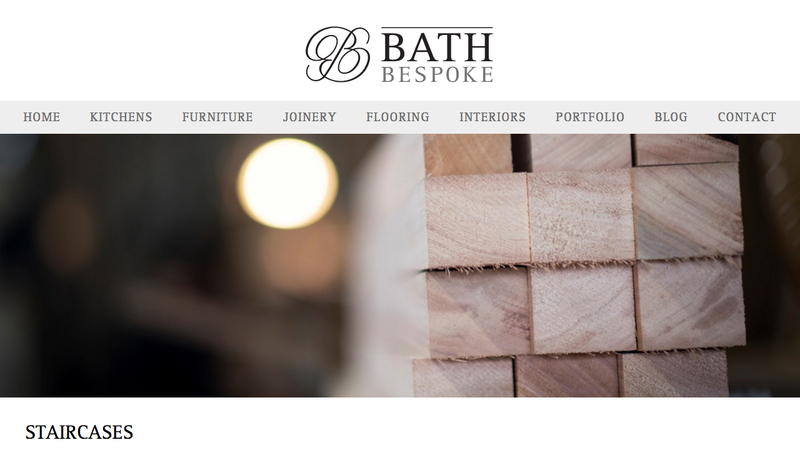 To summarise Bath Bespoke in a few words, they are total experts in extremely beautiful, bespoke carpentry and joinery. Their work is excellent. 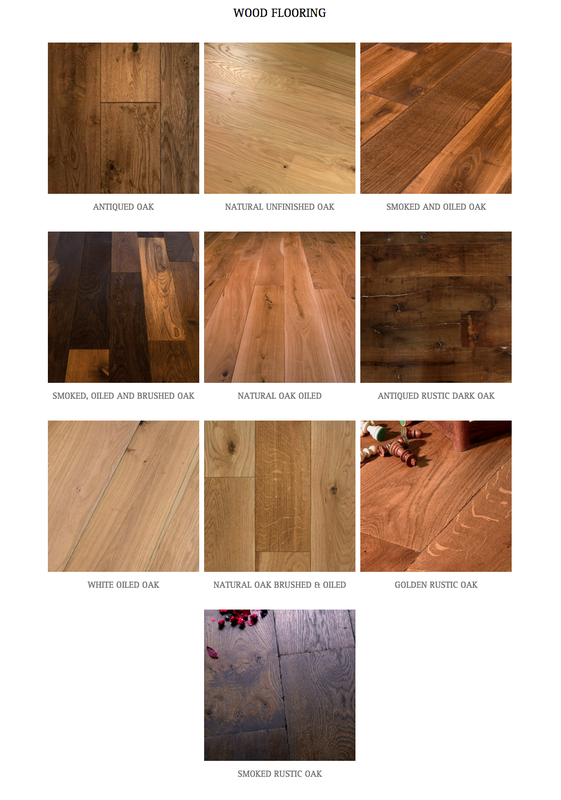 They create stunning kitchens, outstanding made to order furniture, bespoke hardwood flooring, and of course exceptional joinery… Think oak and metal… Then think unique character and ubiquitous taste. So this was the main driving force behind the design brief, and remains so for the upkeep of their brand. 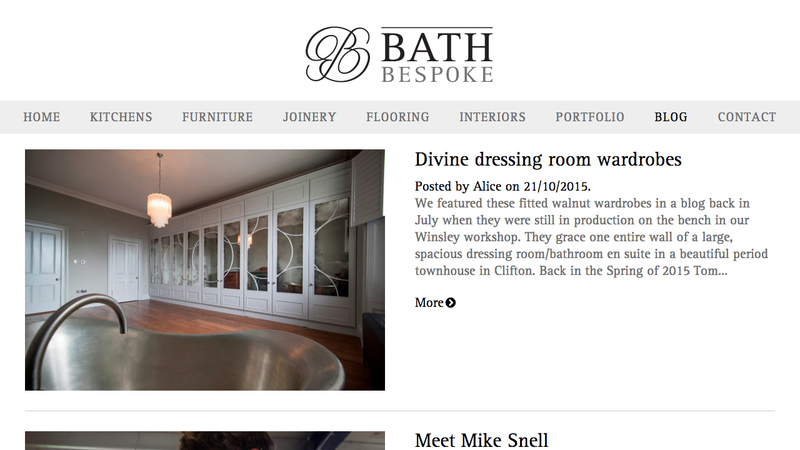 Below: the website post launch, back in 2013; fully responsive, open, clean and minimalistic. 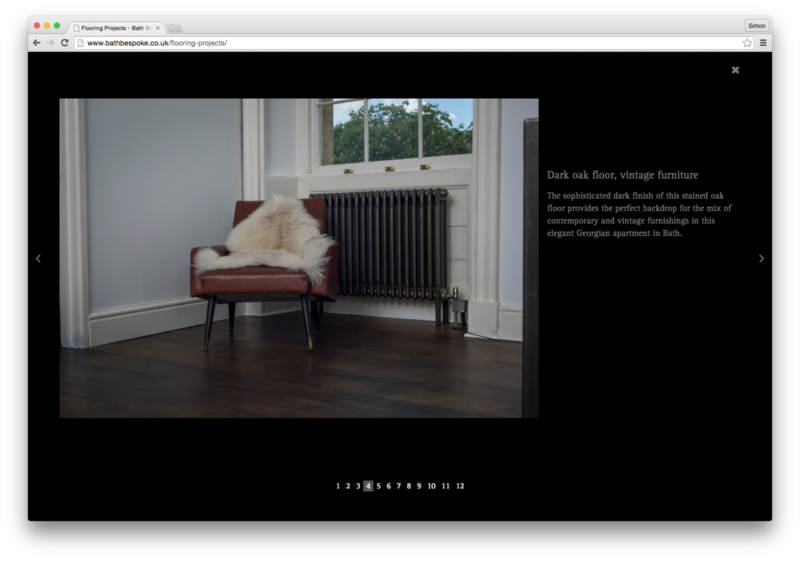 We also added our all new responsive image viewer pop up gallery. This is an exceptionally well crafted piece of coding from Andy, our developer. 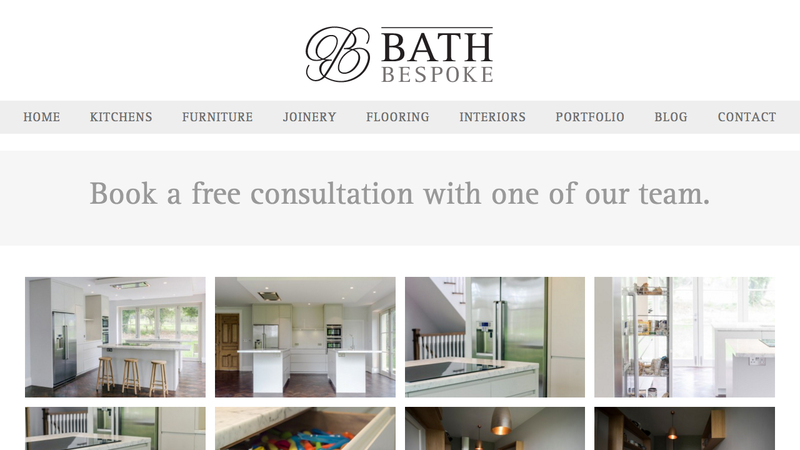 The design of the Bath Bespoke website are best viewed on the site itself, so please visit it at bathbespoke.co.uk.